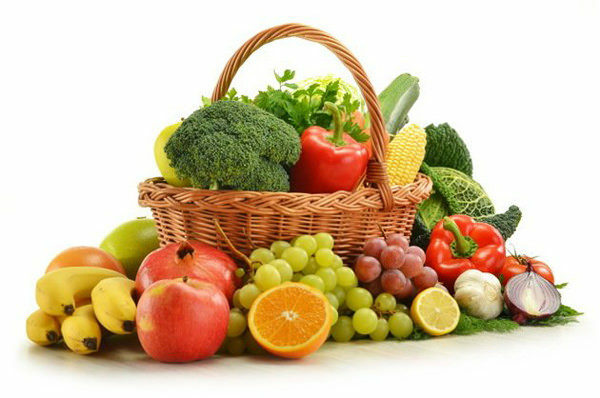 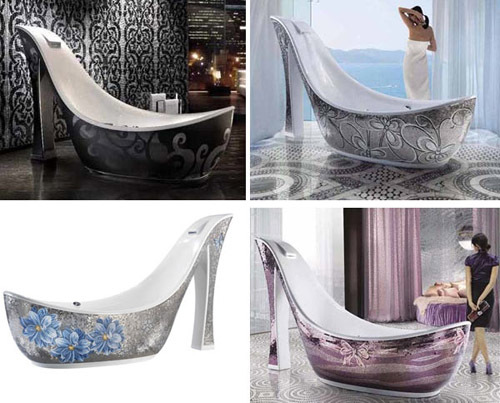 Bathtubs are designed to enhance the feeling of relaxation and the overall feeling of calm, so everyone of us care about choosing the comfortable bathtub according to his opinion and his choices. 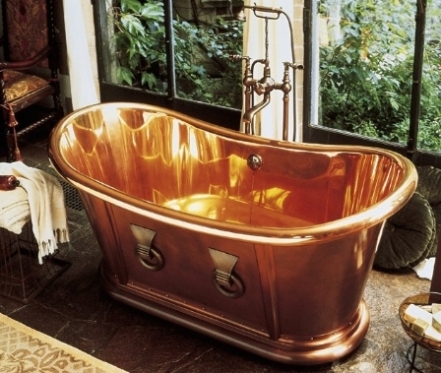 Some love the minimalist tub, some prefer the traditional style and the others like to have the big one. 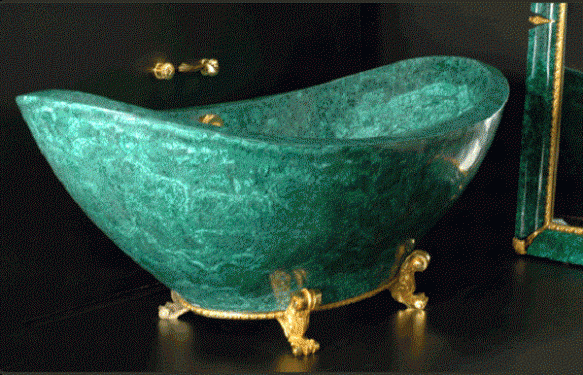 But here we are going to speak about another type of bathtub it is the gemstones bathtubs that costs more than a lot of houses which is the most expensive in the world. 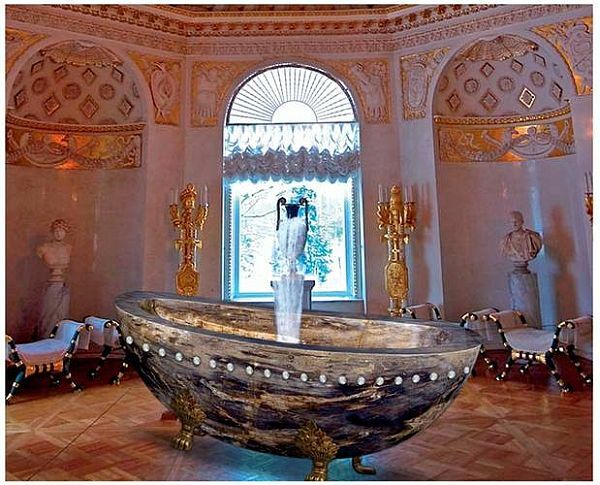 This bathtub is the most expensive one in the world. 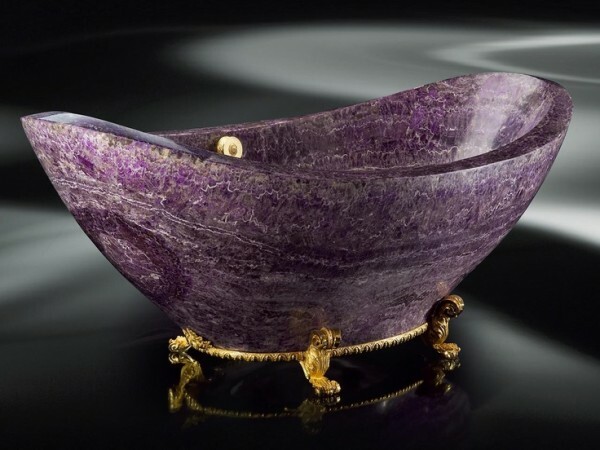 it is designed by Simon Krapf in the shape of an Indonesian canoe from 10 tons of rare and precious gemstone called Caijou which has curative abilities as some people believe. 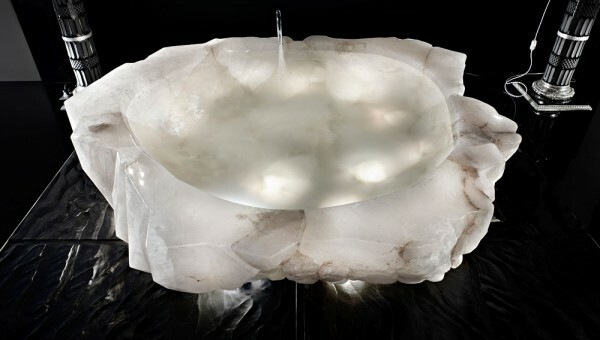 this one was sold for $1,7 million at the International Jewelry Festival in Dubai. 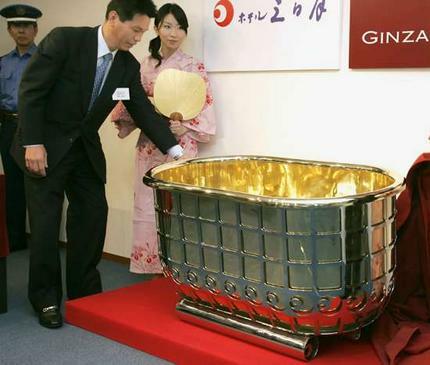 This one is nearly $1 million which made of 18-carat solid gold. 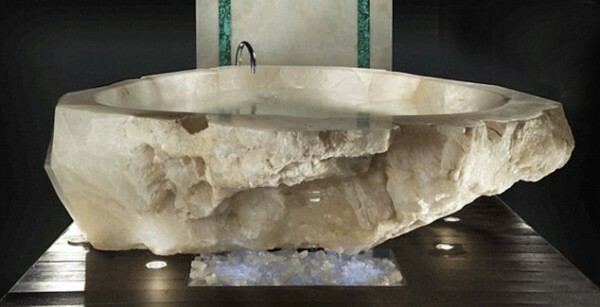 it weighs 176 pounds. 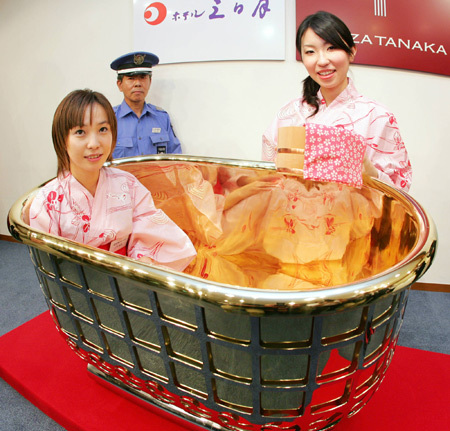 It was in the Kominato Hotel, Japan which opened the tub for its guests in specific days for some hours, but the bathtub was stolen from the hotel without any witness. 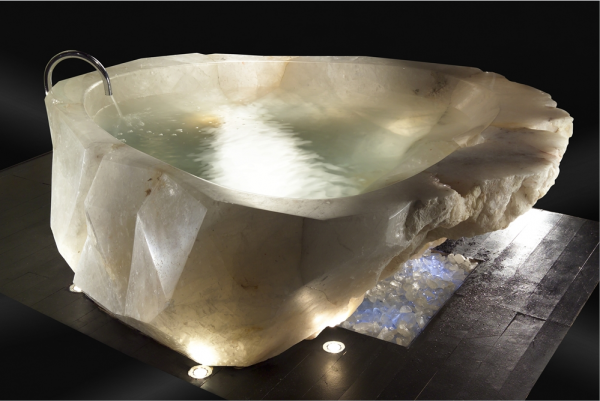 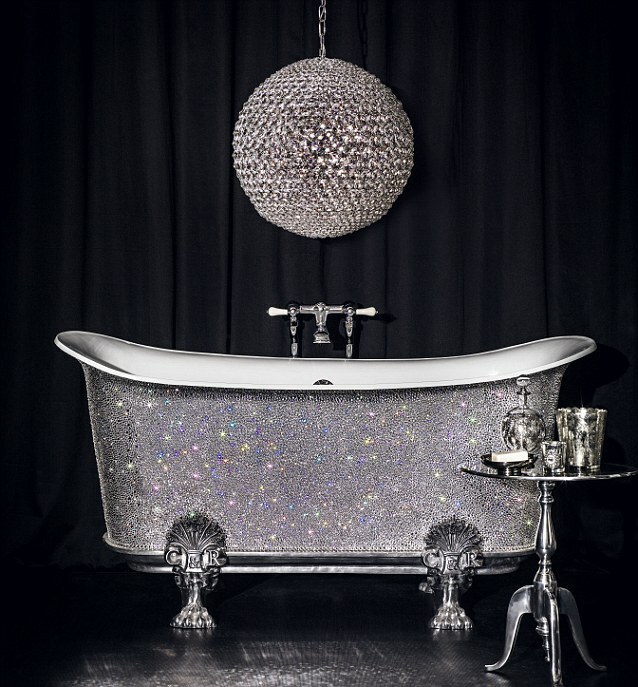 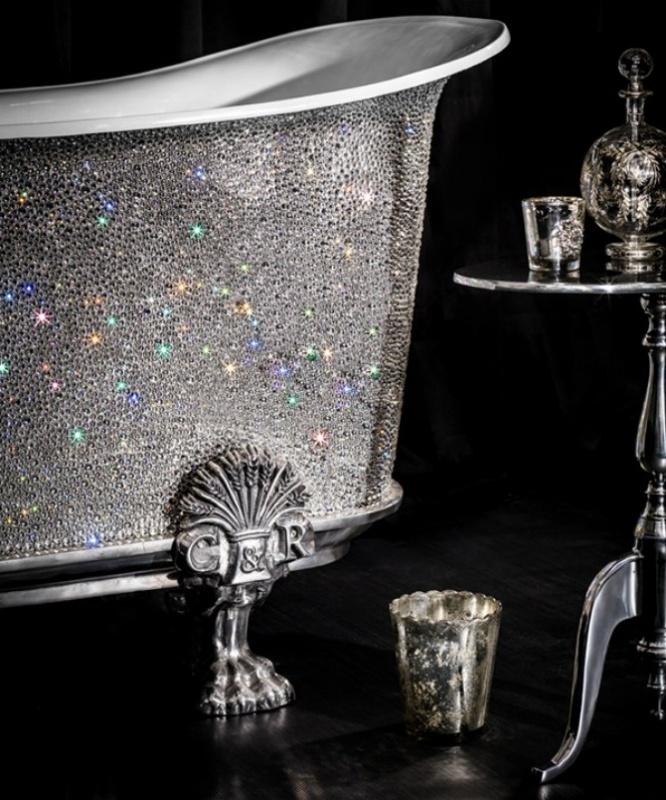 This bathtub is the only one of three designed by Luca Bojola from a single piece of 10 tons rock crystal that found in the Amazonian rainforest and sculpted with diamond cuts. 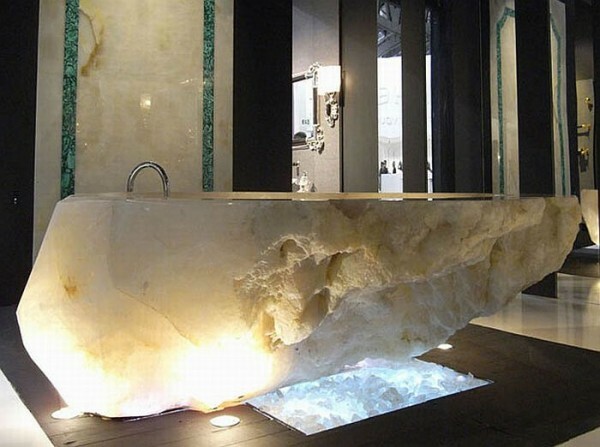 The edges of this bathtub represent the natural beauty of the rock used in. 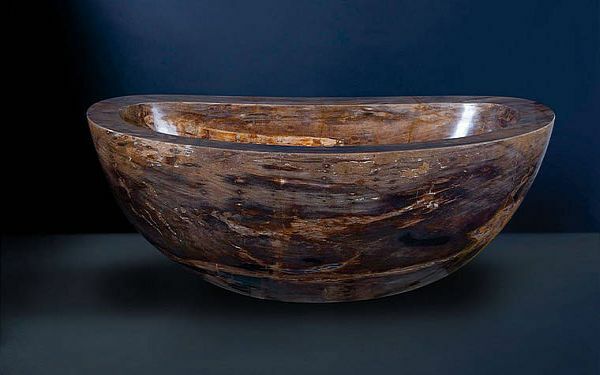 This one is sold for over $850,000. 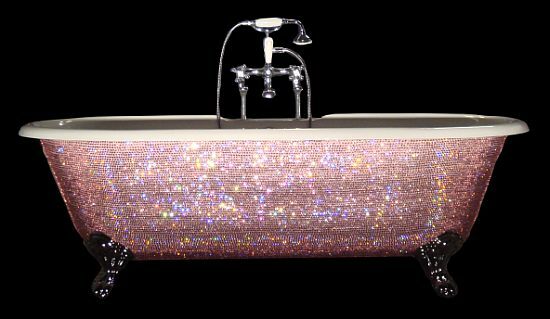 It is covered in many numbers shades of sparkly Swarovski crystal such as gold, blue, white or green in the shape of crystal boat. 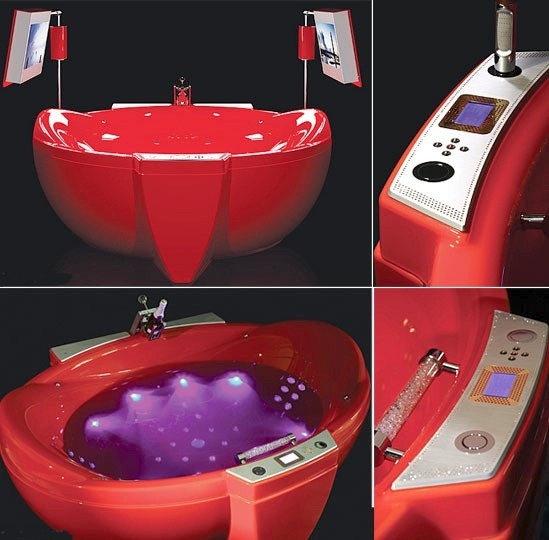 Its price is $228,000. 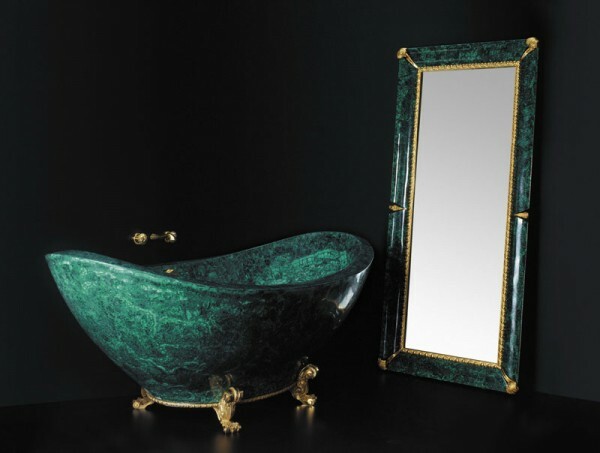 This one is designed by the Italian designer Luca Bojola from pure turquoise malachite and standing on 24 karat gold-plated claw feet in the shape of a boat. 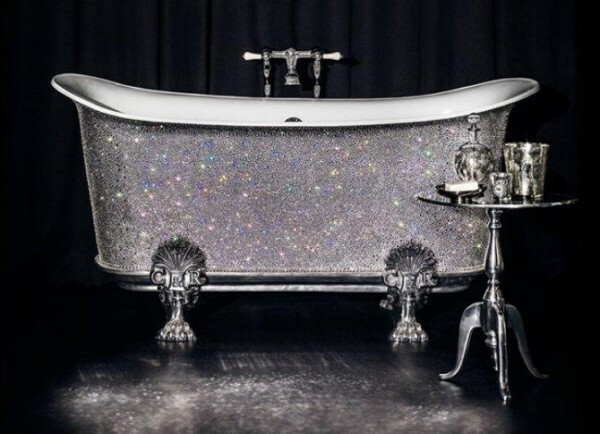 The price of this one is $222,000. 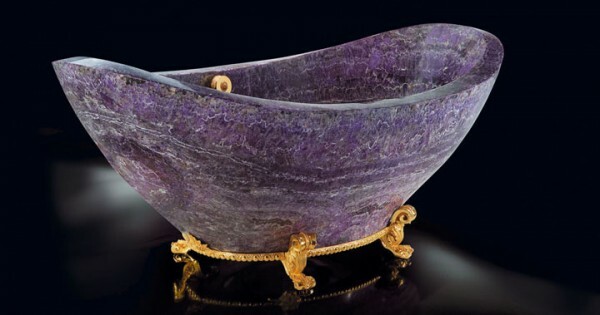 It is made from the solid Amethyst, that was considered a rare gemstone in this time, in purple color standing on 24-karat gold legs with a lotion dispenser and a soap dish designed by Luca Bojola.it costs $121,200. 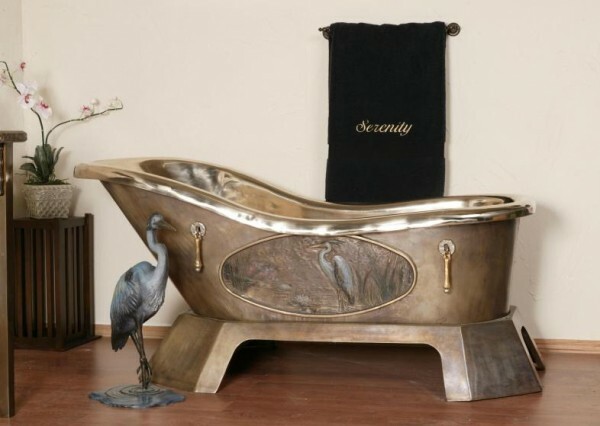 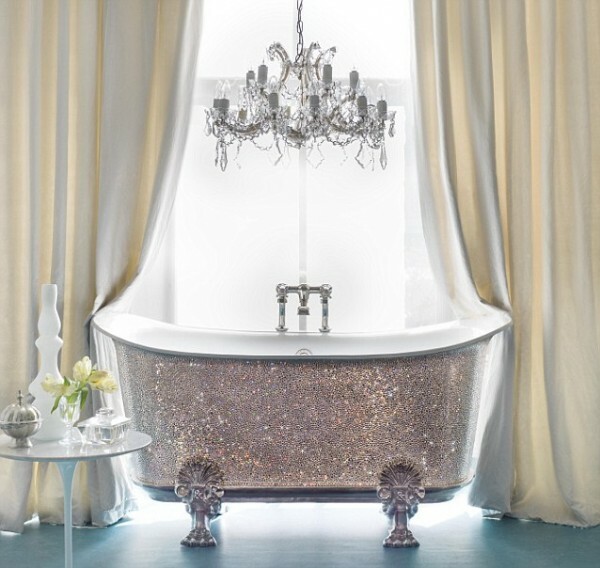 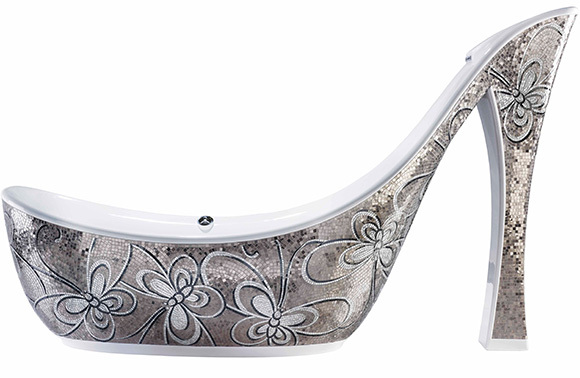 This bathtub was a fabulous one, it is designed from solid bronze with silver and gold accents. 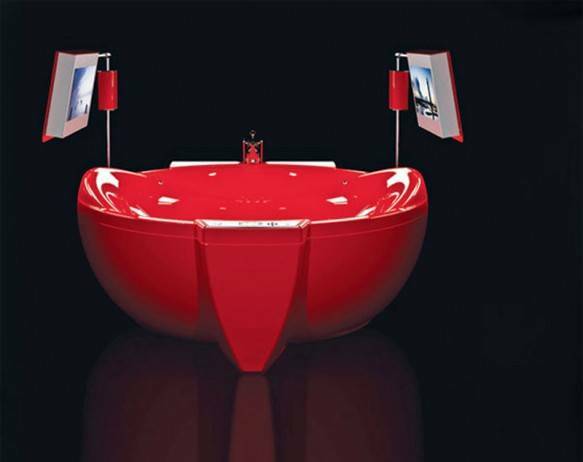 Its price is $76,658. 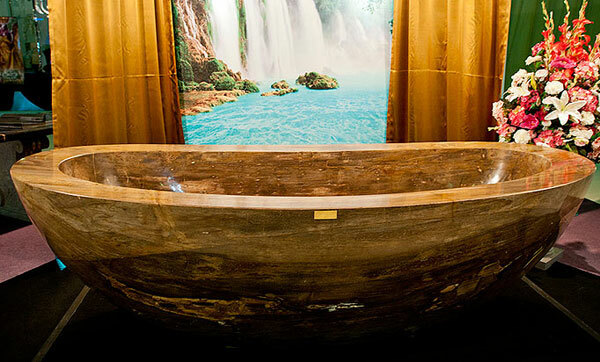 It was crafted by the same people who crafted the Statue of Liberty’s torch. 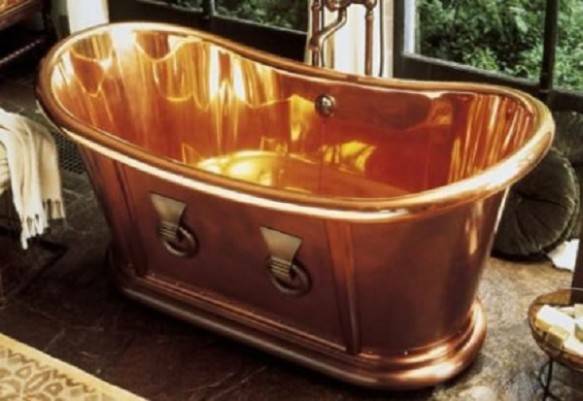 It is made from handmade solid copper which is a conductor of heat that makes you feel warm. 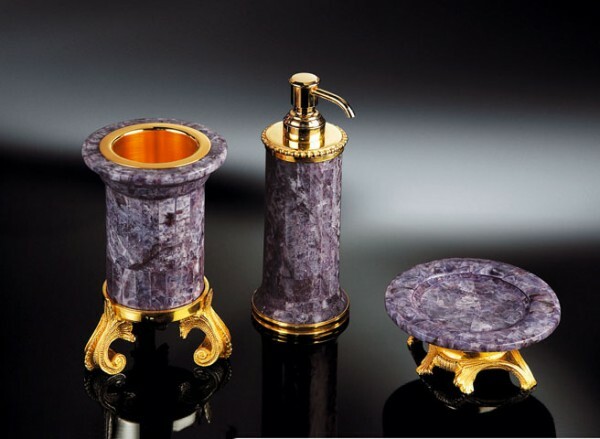 It has a handheld shower with a starfish carving on the knob. 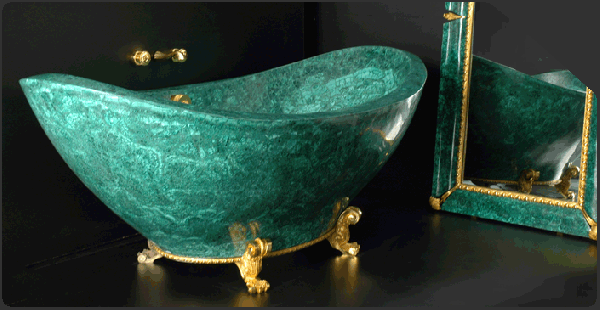 It costs $67,557. 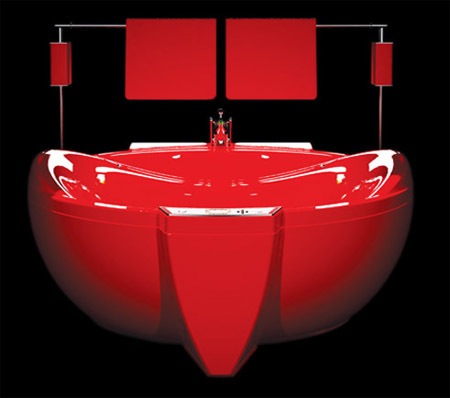 It is a modern one in bright red color that is designed by Aldo Puglielli from 42 grams of 18-karat solid gold for Watergames Technologies. 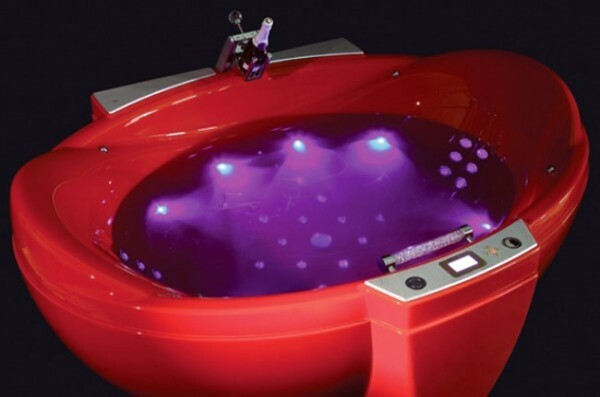 It has many great features like massage function, multicolor lighting, two waterproof HDTVs that you can hide if you don’t want to use, handheld shower and a Champagne holder. 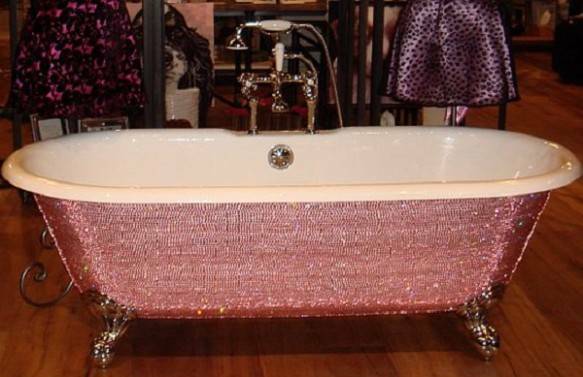 it costs $47,200. 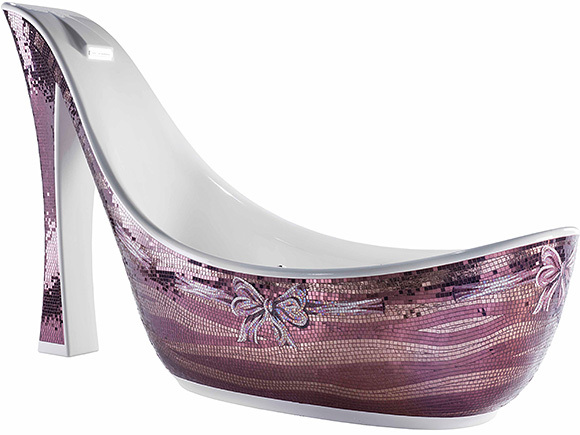 It is well designed by Lori Garner that was made from 45,000 pink Swarovski crystal with cast-iron claw foot. 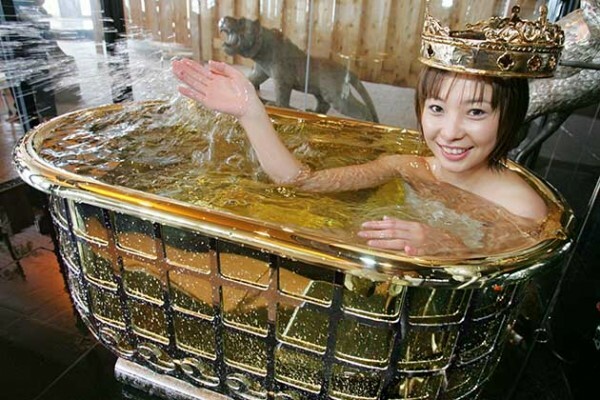 It costs $39,000. 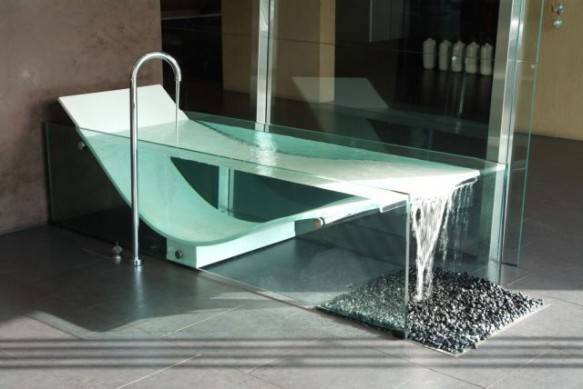 It is designed by the Australian designer Omvivo all from glass with bed of pebbles underneath. 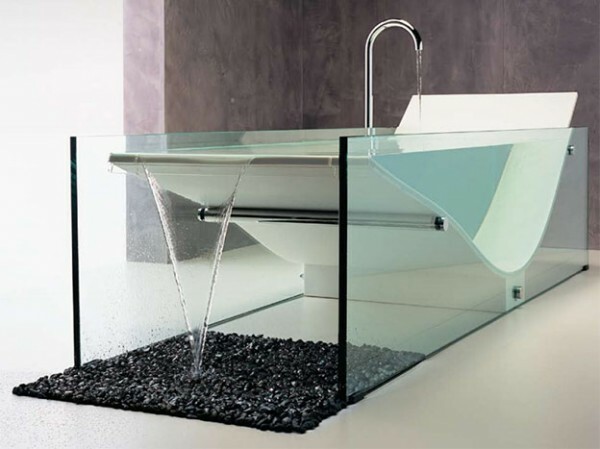 It isn’t very big so it holds a good amount of water that makes you feel comfortable and relaxation with the help of the overflow of water from the tub into the tub rear and onto the bed. 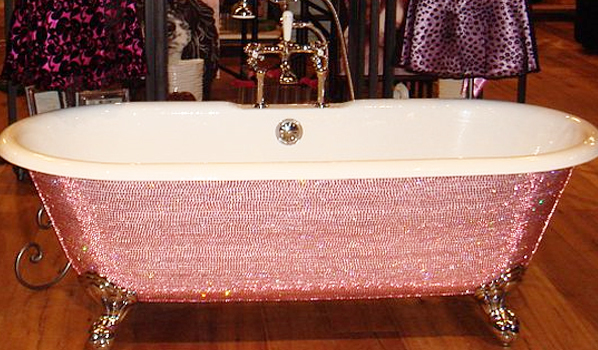 It costs $34,000. 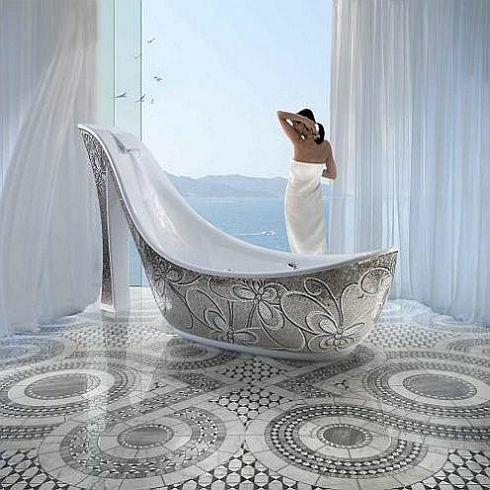 This one is made from glass tiles in Italy. 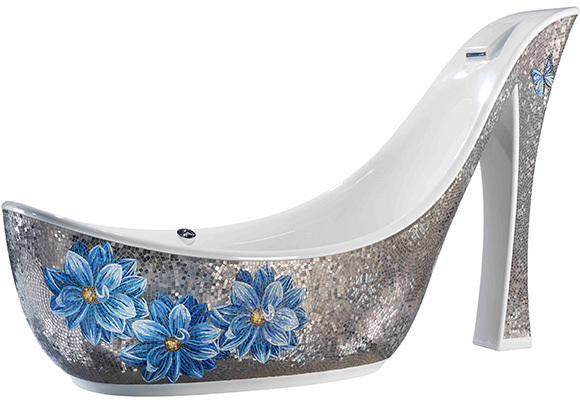 It takes the shoe shape. 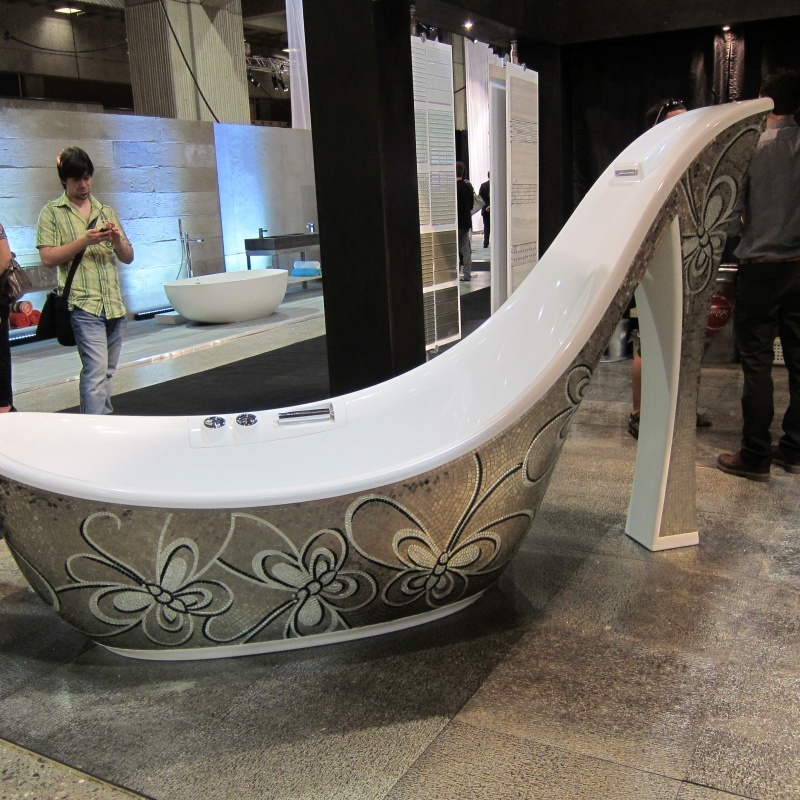 its price is in between $17,000 to $27,000 depending on the materials used in it.